1.8L 4-Cylinder DOHC 16V VVT-i. 2011 Toyota Prius 51/48 City/Highway MPGAwards:* 2011 KBB.com Brand Image AwardsSave even more with the lowest sales tax in Illinois @ 6.25% only at Brian Bemis Toyota. Come see why there's Good, there's Better and then there's Bemis! 1.8L 4-Cylinder DOHC 16V VVT-i. Recent Arrival! 2011 Toyota Prius Two 51/48 City/Highway MPGAwards:* 2011 KBB.com Brand Image AwardsSave even more with the lowest sales tax in Illinois @ 6.25% only at Brian Bemis Toyota. Come see why there's Good, there's Better and then there's Bemis! Cloth, ABS brakes, Alloy wheels, Electronic Stability Control, Heated door mirrors, Illuminated entry, Low tire pressure warning, Remote keyless entry, Traction control. Recent Arrival! 2016 Toyota Camry SE 25/35 City/Highway MPGOdometer is 3496 miles below market average!Awards:* 2016 KBB.com 10 Most Comfortable Cars Under $30,000 * 2016 KBB.com 10 Best UberX Candidates * 2016 KBB.com 5-Year Cost to Own Awards * 2016 KBB.com 10 Most Awarded Cars * 2016 KBB.com 10 Best Sedans Under $25,000 * 2016 KBB.com Best Buy Awards FinalistSave even more with the lowest sales tax in Illinois @ 6.25% only at Brian Bemis Toyota. Come see why there's Good, there's Better and then there's Bemis! AWD. Recent Arrival! 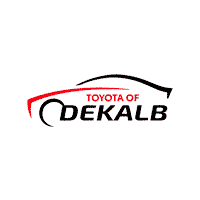 2016 Toyota Highlander XLE V6Awards:* JD Power Initial Quality Study (IQS) * 2016 IIHS Top Safety Pick+ * 2016 KBB.com 16 Best Family Cars * 2016 KBB.com Best Buy Awards FinalistSave even more with the lowest sales tax in Illinois @ 6.25% only at Brian Bemis Toyota. Come see why there's Good, there's Better and then there's Bemis! Recent Arrival! 2012 Toyota CorollaAwards:* 2012 KBB.com Best Resale Value AwardsSave even more with the lowest sales tax in Illinois @ 6.25% only at Brian Bemis Toyota. Come see why there's Good, there's Better and then there's Bemis! Outback 2.5, 4D Station Wagon, 2.5L 4-Cylinder SMPI SOHC, 4-Speed Automatic with Overdrive, AWD. 2002 Subaru Outback 2.5 Base 22/27 City/Highway MPGOdometer is 8523 miles below market average!Save even more with the lowest sales tax in Illinois @ 6.25% only at Brian Bemis Toyota. Come see why there's Good, there's Better and then there's Bemis! 2011 MINI Cooper Base 29/37 City/Highway MPGOdometer is 40271 miles below market average!Awards:* JD Power Dependability StudySave even more with the lowest sales tax in Illinois @ 6.25% only at Brian Bemis Toyota. Come see why there's Good, there's Better and then there's Bemis! Next Generation Magnum 4.7L V8, 4WD. Recent Arrival! 2002 Dodge Ram 1500 140 WBOdometer is 9424 miles below market average!Save even more with the lowest sales tax in Illinois @ 6.25% only at Brian Bemis Toyota. Come see why there's Good, there's Better and then there's Bemis! CVT with Xtronic. Recent Arrival! 2017 Nissan Altima 2.5 SL 27/39 City/Highway MPGOdometer is 1037 miles below market average!Save even more with the lowest sales tax in Illinois @ 6.25% only at Brian Bemis Toyota. Come see why there's Good, there's Better and then there's Bemis!